Ever since Ruth Graham wrote "Against YA" for the Slate Book Review last month -- the article that launched a thousand blog posts -- I've been reading the scathing responses as they roll in one by one. The Barnes and Noble Book Blog calls it the best debate on the internet. Indeed. Most of the criticism focuses on Graham's audacity in telling grownups what they should and shouldn't read, and ridiculing them for liking young adult books aimed at tweens and teens. Hillary Kelly at New Republic bemoans Slate's "click-baity headline" and Graham's inability to understand why someone might choose a book that is below the upper limits of his or her reading comprehension. During an interview on NPR, host Rachel Martin points out that there are plenty of books written for adults that are "equally simplistic," and this is surely an understatement. Graham agrees and tells Martin, "I guess I do kind of want to push back against the idea that a book is a book, is a book is a book." I can go along with Graham on that count. 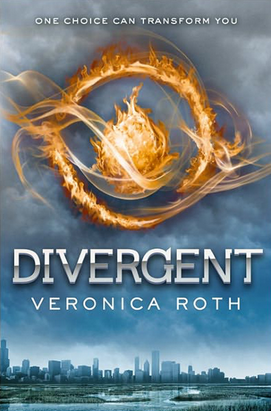 But here's the thing: Just as there are good and bad adult novels, there are good and bad YA novels. To snidely pan the entire YA genre as being an embarrassment for any adult to enjoy is both small-minded and myopic. YA is a relatively new marketing category, but YA novels have always existed in that they are about the lives of teenagers. 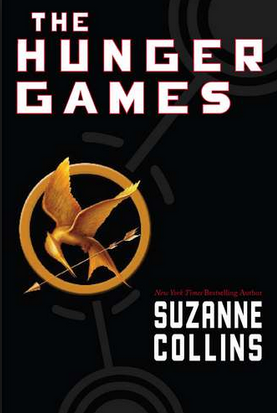 No one considers Romeo and Juliet or novels by the Brontë sisters to be beneath adult readers, but had they been written today, they'd likely end up shelved beside The Hunger Games and Divergent. As an educational psychologist, I frequently find myself advising parents to let their children read whatever helps them not hear the call for dinner. If that's Captain Underpants -- perhaps the other greatest debate on the Internet -- then so be it. If we know that allowing children to read books that are below their grade level helps them relax and have fun and learn to love reading, why would we assert that adults must always read books that are maximally sophisticated and challenging? 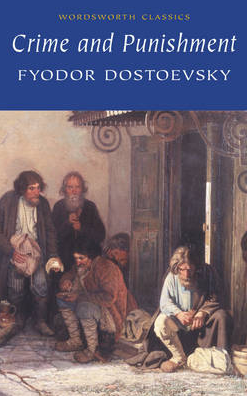 I love Dostoyevsky, but can I read stuff like that all the time? That's a big N-O. 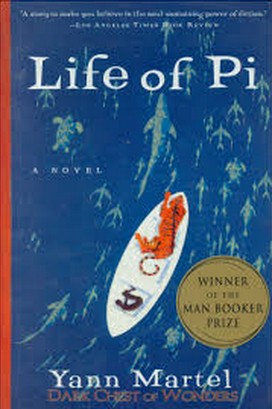 One of my five favorite books of all time, right along with Dostoyevsky's Crime and Punishment, is Life of Pi. What genre is that? You could make the argument that it's YA. But how many adults loved it? I read it with my daughter when she was about 13 years old. We could not stop discussing it. 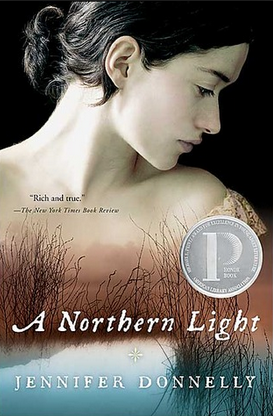 And when I think back on all of the girl-empowering YA books I read with my daughter during the days of our mother-daughter book club, I realize that one of the best reasons for adults to read YA literature is one that I have not seen mentioned in any of the rebuttals to Graham's original piece in Slate. 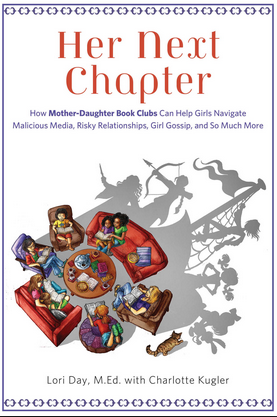 The books I read with my daughter and the other mothers and daughters in our club provided side doors into crucial conversations about growing up female. They also helped me understand my daughter's world. I think that because the mothers of our club were invested in reading YA books and connecting deeply with our daughters, we not only helped our girls grow up to be avid readers, but also to be leaders who feel good about themselves as women in a culture that can make that hard. Similar benefits of connection and exploration of identity accrue to fathers reading books with their sons, or fathers reading with daughters, or mothers reading with sons. I asked Saira Rao and Carey Albertine at In This Together Media, which publishes YA and middle-grade books starring interesting, diverse and multidimensional female protagonists, to talk to me about the controversy stirred up by Ruth Graham, and whether adults buy their YA books. "Adults absolutely read and adore our books," said Rao. Albertine agreed, explaining that young adult stories appeal to adults because "they tackle the universal experience of coming of age. Young adult stories are compelling because they explore the adolescent experience of belonging, individuating, self-expression, and falling in love for the first time." One of the things I love about YA lit is that it also validates marginalized teens' experiences that don't often appear in literature precisely because they fall outside of what is "universal." A lot of teen and adult readers of YA enjoy books that speak to diverse identities and experiences, and the perspectives informed by those identities and experiences. Whether you seek fictional representations of universal or unconventional life stories, the young adult genre is broad enough to have something for everyone, and to include a variety of sub-genres. 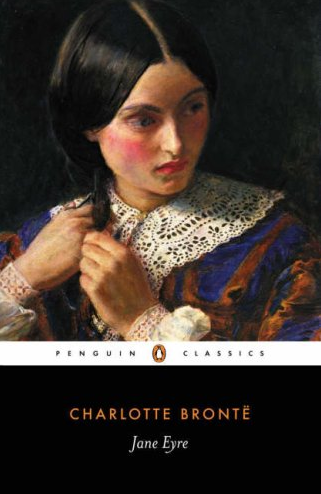 I recently read a YA book published by Rao and Albertine titled Carly Keene, Literary Detective: Braving the Brontës, by Katherine Rue, about a girl who time travels back to 1846 when Charlotte Brontë was trying to write Jane Eyre. It is marvelous historical fiction and there was not a moment I felt embarrassed to be reading it--to the contrary! 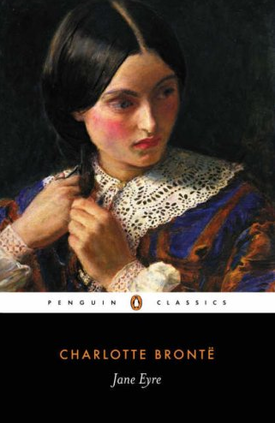 This book is "good" YA lit, and a page-turner for anyone who loves Jane Eyre or just a darn good mystery. Lisa Reardon, an editor at Chicago Review Press, explained that while a lot of adults do buy and enjoy their nonfiction YA books, some later complain that the book they purchased was "too basic" or "felt like it was written for kids." These adults did not notice the age recommendation of 12 and up. "Personally," said Reardon, "I don't read YA unless maybe I'm reading something with my daughter, who's 10. The stack of adult books I want to get to is just too high." Reardon then went on to comment on the benefits of "reading up" to children. 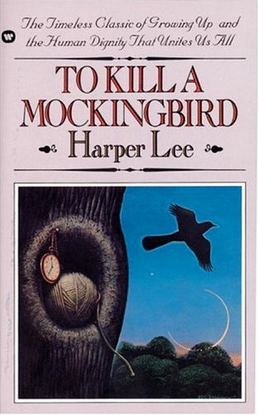 "We're reading To Kill a Mockingbird together now. I read my daughter a bit each night." I know many parents who read a YA book to their children whose reading skills are not there yet, but who want to hear the stories. This is known to help kids love reading, and aspire to reading more substantive books when they are older. "I bristle at the ghetto-izing of YA books, or any books. Who says we can only read stories featuring characters of our own age? I'm a middle-aged white woman, but I don't purposely seek out books that feature middle-aged white women. I seek books that speak to me. Books that challenge and move me. I like reading about teenagers and children and people who are older than I am, because I like to know what different lives feel like. That's what good books do -- they let us slip the boundaries of our own consciousness and experience someone else's. I like reading about male characters. And characters who come from different ethnic groups. From different parts of the world. Who follow different religions, or no religion. When I pick up a book and flip to the first page, I'm looking for a strong, compelling voice and hints of a good story artfully told -- not a demographic. I think most readers are." "Good YA, like any good fiction, is art. This art doesn't stop being relevant because we turn a certain age or pass a particular milestone. 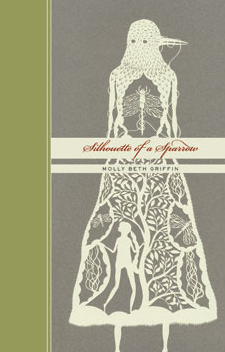 It just has to be shelved somewhere," remarked Molly Beth Griffin, author of the prize-winning YA book Silhouette of a Sparrow. This speaks to the marketing impetus for creating a YA genre in the first place when none previously existed. The 1970s were the beginning of the popularization of the genre, as publishers began focusing on an emerging adolescent market, and books within the genre increasingly portrayed universal teen experiences. Griffin notes that many adults have bought her book. It is a coming-of-age story about two lesbian teens who fall in love and encounter many of the same challenges faced by heterosexual teens. 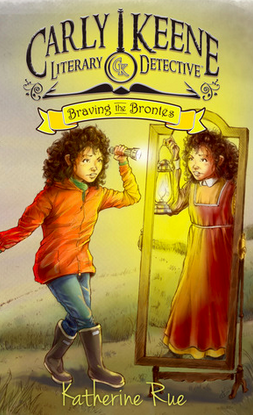 The book is set in the 1920s and features a protagonist who wants to be an ornithologist. "A lot of adults read it," said Griffin. "Many of them read it out of an interest in the physical setting or the historical era. Many of them want to see a love story between young women that they never got to read as a queer teen. Some of them read it out of a passion for birding or simply out of an appreciation for lyrical prose. There is plenty for readers of any age to savor." As the mother of a lesbian daughter, my response to this is quite personal. Reading Griffin's book so that I could review it and write a discussion guide for it within Her Next Chapter was bittersweet. 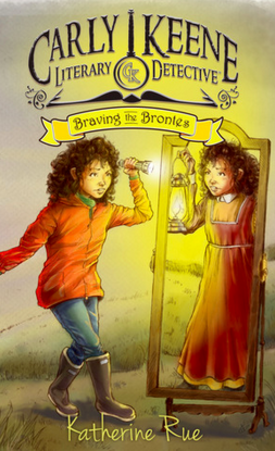 If only YA books like this one had been available when my daughter Charlotte was growing up! How educational and reassuring it would have been to read them, together or separately. She'd have enjoyed characters and a story that depicted and validated her private experience of figuring out her sexual orientation, and I'd have gotten a glimpse into her inner world that would have helped me be a better mother. Charlotte, herself an avid reader and a contributing author to our book, has her own reasons for enjoying YA fiction even though she is a strong reader who majored in English and also enjoys all kinds of adult books within and outside the Canon. "People think all YA is about romance or vampires. Or romance involving vampires," she explained. "But there's just as much that poses serious questions about the world today, or explores issues of inequality and injustice. A lot of sub-genres within YA are super relevant to issues of social justice. So you just can't throw away the whole genre because some of it is vapid, because for every book that would perhaps be 'embarrassing' for an adult -- or teen! -- to be reading, there's at least one other book about interesting, important matters that many teenagers are starting to think about and explore as they're figuring out who they are and their place in the world." I couldn't have said it better, and I wonder if at least some of Charlotte's discernment comes from a childhood spent reading books with her parents and within a mother-daughter book club that fostered this type of analysis and self-discovery. I've got an idea. Why don't we all just read what we enjoy and what we find inspirational, and leave the judgment behind? See you at the library.